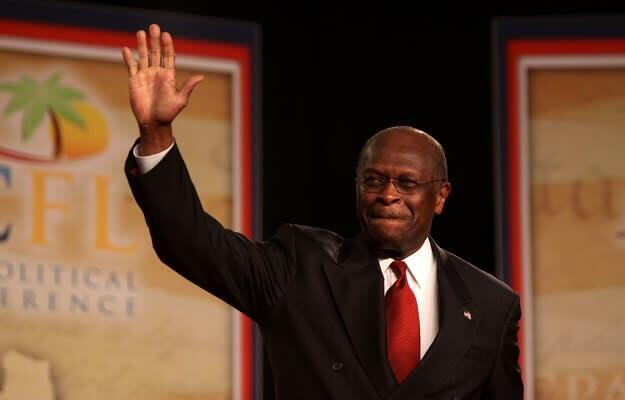 In hopes of best expressing his feelings about resigning amidst swirling rumors of affairs and sexual harrassment, former presidential candidate Herman Cain didn't turn to his family, his mentors, or any old sage for inspiration—he turned to Pokemon: The Movie. Or more specifically, the track playing during the end credits, as sung by Donna Summers. "Life can be a challenge. Life can seem impossible. It's never easy when there's so much on the line. But you and I can make a difference." Shortly after, he ventured off to perfect his Pikachu collection.